Lake Shore will be hosting our 2 specialty shows on June 15. Included with this event will be a puppy sweepstakes and veterans sweepstakes and a puppy 4-6 month event. See our specialty page for more details. Evening event will include the after party and club meeting. Your Amazon purchase can support the LSGSMDC! Simply visit our page and click through the banner link and a portion of your purchase will go back to the club! Also Visit our Ways and Means Page for Fun club logo items and Swissy items! We lost our first Swissy (Greta) a couple years ago. With wonderful memories it was time to bring another Swissy into our family. Thanks to Anna Hansen who knew we had been looking for a possible rescue or adult Swissy, Benny came into our lives this past December. Benny was 3 ½ years old and 140 lbs. 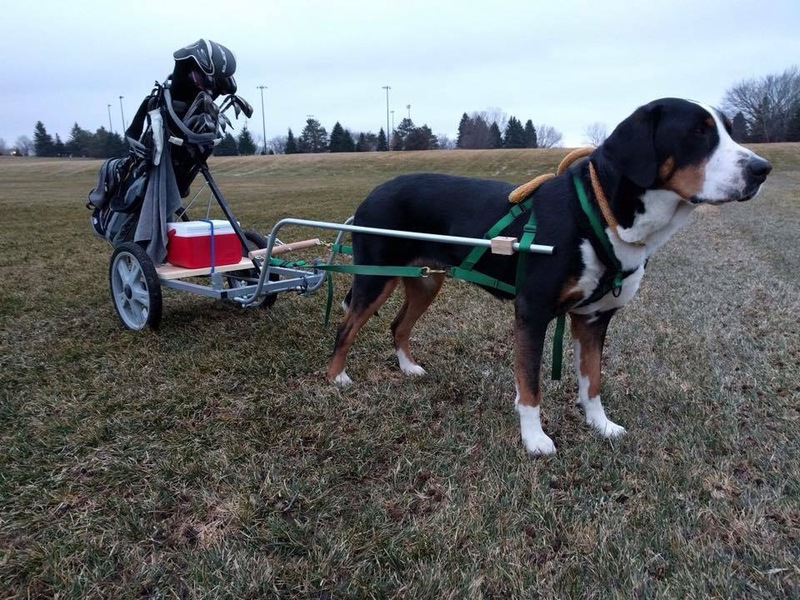 Anna was contacted by Alison Woods (Benny’s breeder) out of Colorado about Benny needing to be re-homed. Due to personal reasons a wonderful family in Chicago was not able to keep Benny and contacted Alison. We have continued to keep in touch with the previous owner for questions and a few pictures. It was love at first sight! Benny jumped out of the car and started running with my daughter’s Lab and they haven’t stopped. 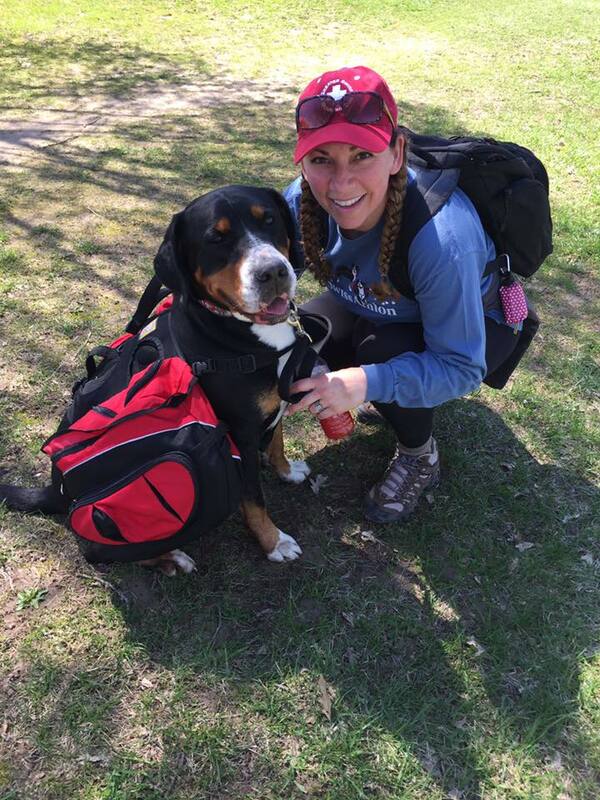 Benny immediately fit into our family with his big personality (he’s a Swissy!). With Benny’s awesome personality he has been great with our grandchildren and other dogs. Even though Benny has always been a very happy dog looking back to December he did go through an adjustment period. It took a couple of months for his true personality to come out. He was very polite at first I guess you would say. After a couple of months, he started to see what he could get away with. We learned very quickly his games and have been working with him. Benny had basic obedience training so we are continuing with his training. Training has also helped Benny and our family connect. Now weighing 130 lbs. Benny is looking good. I hope in the next year to get Benny certified as a therapy dog. Again, a big thank you to Anna and Alison for bringing Benny into our family. We love Benny! Rye aka GCH. Cherished Major Drama at Rydell High, CGC, HT, NWPD. Amy handles Rye in the show ring, and also in the performance arena. 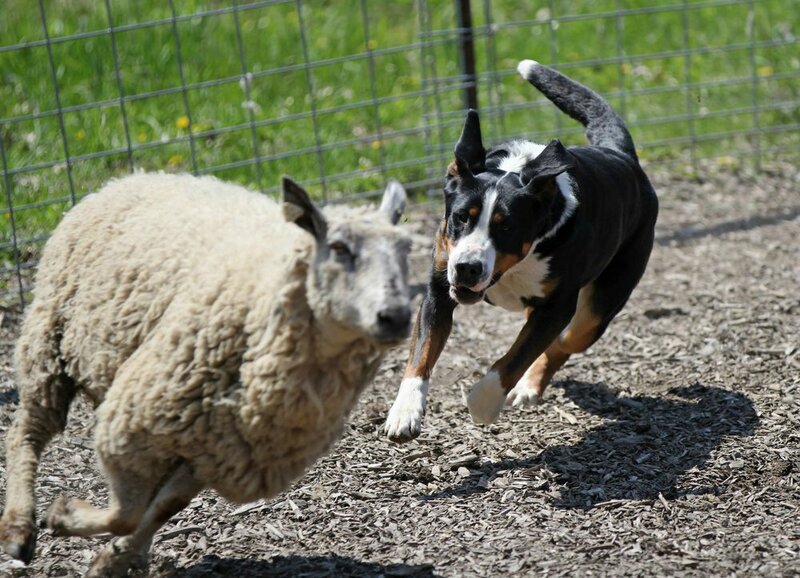 Rye does pack dog events, herding and weight pulls. She travels in style, sleeps in comfort and is usually near her favorite human, Amy. In addition, Rye lives with her half sister, Jameson (also a Swissy). While Rye enjoys the rugged life of hiking and camping, she also enjoys the glamour life of being a show girl. 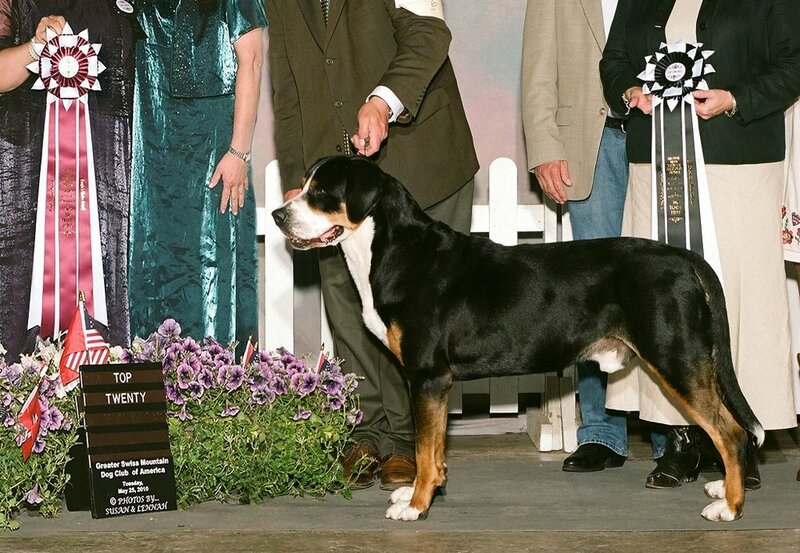 Rye has participated in many of the Lake Shore events as well as the Greater Swiss Mountain Dog Club of America National Specialty Event. Look to meet Amy and Rye at Lake Shore events. Ranger turned 11 in May, and has called Bit-A-Swissy his home since the day he was born. We are fortunate to be his breeders as well as his“humans”. Age has settled in, as well as some neurological degeneration, that have affected his balance and movement. Along with this also came some illness (Ranger has had a splenectomy, and an Adrenalectomy). For the last year Ranger has been working out with a Physical Rehab team in the pool, water treadmill and floor exercises coupled with weekly laser treatment. Along with this, he has regular acupuncture and we follow supplement, exercise and diet recommendations from his Neurologist. Ranger continues to amaze us day in and day out. He is aging in body, but is always eager to take a walk, (slow) run in the yard, hop (assisted) into the car, and announce himself with a big BAROOO at his weekly Physical Therapy sessions. He sleeps more, snores more, and loves more as he gets older.